I loved the absolute hell out of the first SteamWorld Dig on Nintendo 3DS. The hours I played just flew by as I dug for precious minerals and upgraded my character Rusty into the ultimate miner. 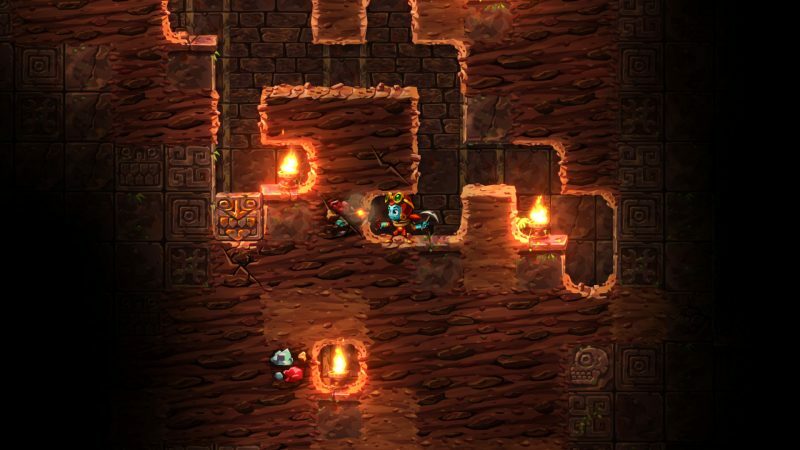 Four years later, SteamWorld Dig 2 has released and I can’t stress enough how much it defines what a video game sequel should be. What do I mean by that? Simply put, the game takes all the good things from the previous game and makes them better. 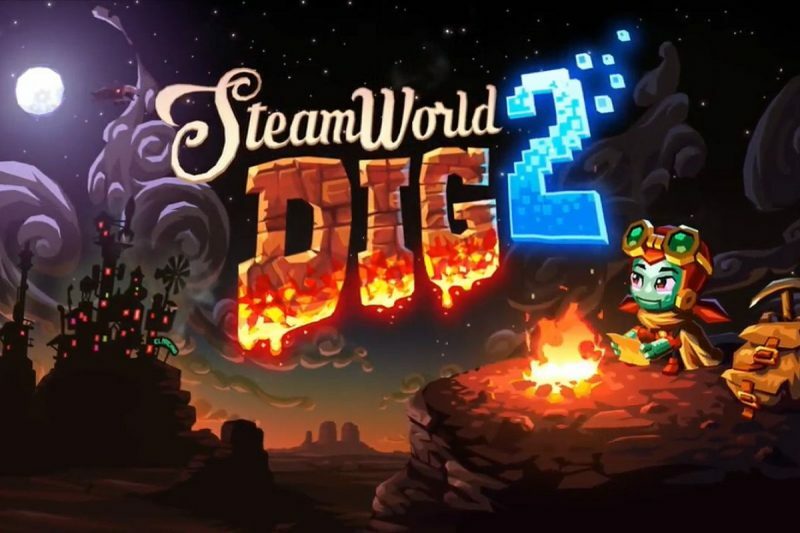 Whereas the first SteamWorld Dig felt like a smaller title restricted by a smaller budget (it was developer Image & Form’s first major hit after all), the sequel feels like a big-budget, Triple AAA experience that is only $20! I can tell you after completing the 8-hour story that you will still find value in this game at $40. Okay, let me take a step back. I’m obviously singing very high praises to SteamWorld Dig 2, and it could be that I and many others have wanted this game for so long. So to keep things fair, let’s start with some negatives. For one, even though the art style is devilishly charming, I wish more of the characters would reflect that. This was a problem I had with the previous game, as most of the dialogue in both games took things too seriously. There are still some dialogue worth a chuckle, especially from your smartass sidekick Fen, I do wish the game would embrace the silliness a bit more. 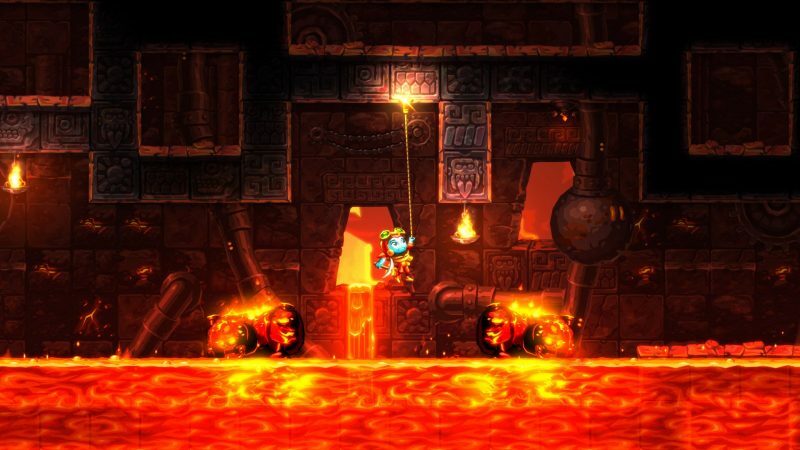 That being said, it is REALLY tough to try and find something I don’t like about SteamWorld Dig 2. You play as Dot, a robot who is trying to find her missing friend Rusty, the protagonist from the first game. You don’t have to play the first game at all to know what’s going on in this one, though I still recommend it if you want to appreciate the improvements made in the sequel. The gameplay still remains the same where you enter a series of mines to dig for minerals you’ll sell for upgrades like a sharper pickaxe, better armor, etc. However, it is insane how much they added to this formula, to the point where it’s going to be tough to revisit the first game. The city of El Machino is the place you will always revisit to sell minerals and upgrade your defenses with money and cogs. Cogs are a new feature, allowing you to activate or deactivate certain powers, such as an additional 5 exp points when you kill enemies with a pickaxe or faster reflexes to dodge falling boulders. If you need additional cogs for a certain powerup, you can always deactivate another power to use those cogs. Thankfully, it is much easier to get back to the central hub in this game thanks to the tunnel system in the game acting as fast travel points to other areas with access tunnels. A huge step up from the warping system from the first SteamWorld Dig. When you finally play the game though, that’s when you really get sucked into the World of Steam. The best way to describe the SteamWorld games (with the exception of SteamWorld Heist) is that it’s a Metroidvania with Dig-Dug elements or vice-versa. You essentially make your own paths down a series of mines, coming across dangerous bugs and cult members. And in the process of making these paths, you collect the aforementioned minerals to sell. Increasing your level within the game will also increase the value of said minerals. Much like the last game, SteamWorld Dig 2 is addicting. Like, REALLY addicting. There is a slightly greater focus on combat in this sequel, but the main selling point of discovery is what drives this game home. Finding new tools to access areas you couldn’t have before is an essential part of the Metroidvania genre, and adding in the collecting of minerals just makes that experience more addicting. One moment you’ll ask “How am I supposed to get that lovely diamond up there?” And when you collect the grappling hook, then your question will be solved. Trial caves are also added to the fun as they contain challenges that unlock more cogs or artifacts you can give to a collector in exchange for blueprints. Not only did SteamWorld Dig 2 live up to my expectations, it exceeded them. This game has successfully blurred the line between indie and triple AAA game development by giving a lengthy and in-depth title worthy enough to be sold at double the price. For context, it’s only $20 on Steam and the Nintendo eShop. I played this game on both PC and the Switch, but I wholeheartedly recommend the Switch version since you’ll want to be playing it any chance you get. If you’re looking for an inexpensive game to play, SteamWorld Dig 2 should be on your priority list.